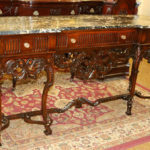 Take a look at this spectacular carved walnut and black portoro Italian marble topped beauty! 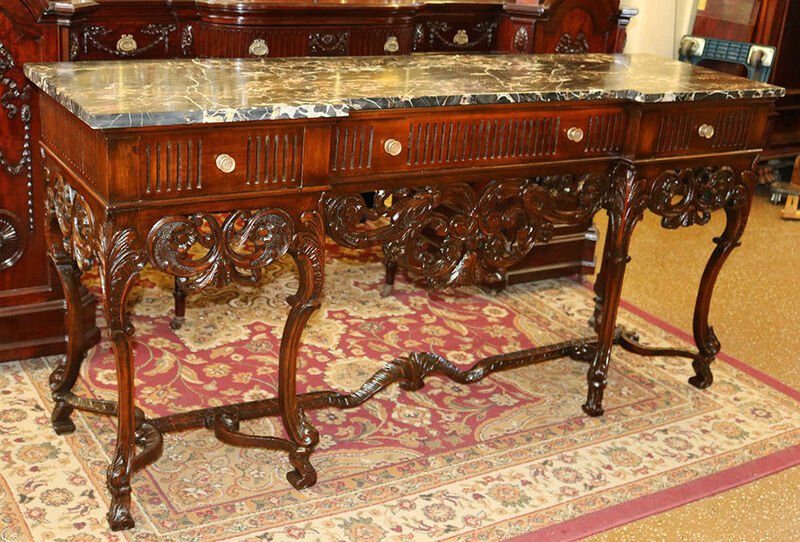 This incredible buffet is topped with a gorgeous marble top with veins of various soft hues of creams, pinks, beiges and whites. These are hard to find in this design. Look at the gorgeous carved walnut bade and contrasting brass knobs and beautiful french-polished finish. This is a jewel!